This year’s cross country team is unique in the program’s history. 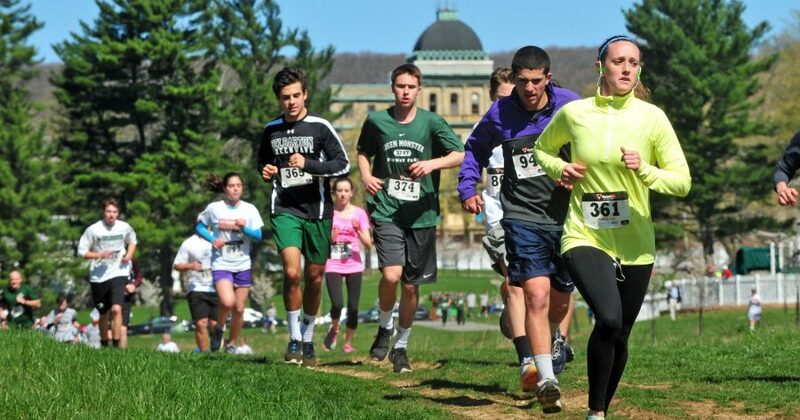 The team has over 40 members, making it the largest in Delbarton’s history, and consists of predominantly underclassmen with a freshman team of approximately 20 runners. Because of the program’s size, the team has aimed to use its newfound mass and skill to its advantage. Last year’s season, the cross country program enjoyed several mild successes. Captain Ira Daly qualified to the NJ Meet of Champions, the Varsity squad placed 4th at the Catholic Track Conference Champions, and the successful Freshman team took 2nd at both the counties and NJAC championships. However, the team experienced an unusual number of injuries and illnesses. Senior Captain Jack Looney dislocated his shoulder, Sophomore Steven Daly was out for the season’s entirety due to an iron deficiency, and current Senior and varsity runner Finn Gannon broke his arm. Because of these injuries, the team was not able to reach its maximum potential. Leading into this season, we hoped to change that. Going into the season, the Cross Country team looked to rebuild its strength after the loss of its three senior Varsity runners from the Class of 2018: Jack Looney, Ira Daly, and Brendan Lawlor. Leading the pack is Junior Captain Steven Daly, who after his absence in the 2017 season, hopes to re-establish himself as a crucial leader on the team. Following him, Juniors Harrison Vives and converted soccer-player Chris Failla have continually made a substantial contributions to the team’s success. Subsequently, Senior captains Karman Sandhu and Finn Gannon along with sophomores Dennis Collins and Patrick Smart have consistently held the 4th and 5th scoring positions. However, not only have these runners truly defined the Varsity squad, but Freshmen Evan Dolan and Ritchie Mistichelli have run with and scored points for the Varsity squad at various times throughout the season. So far, Delbarton cross country has earned a 2-3 record in local NJAC competitions, scoring landslide victories over Mount Olive and Pope John. The team ran in a handful of invitationals including the Lehigh University Invitational in Bethlehem, Pennsylvania, Shore Coaches Meet at Holmdel, the Bernie Magee Invitational, and Manhattan Invitational, among others. In an unexpected turn of events, the varsity team finished in 7th place out of 14 teams competing at the NJAC championships and 4th at the County Championships. The Freshman team has had a very successful season thus far, finishing 2nd at both NJACs and Counties. As the season comes to a close, the Green Wave cross country team looks to finish in the top spots at the Catholic Track Conference Championship and Non-Public Group A State Championship, as well as hopefully attend the New Jersey Meet of Champions. With the program substantially increasing in size each year, the Delbarton XC team hopes that this season will set up the program for future success.